The Minister of Power, Works and Housing, Mr. Babatunde Raji Fashola (SAN) had during the week announced the plans of the Federal Government to construct over 38 new toll gates at the same spots where they were demolished during the administration of former President Olusegun Obasanjo. Fashola had also told the Senate Committee on Federal Roads Maintenance Agency (FERMA) that the tolls would be built through private concessionaires and fully commercialized. Reacting to the development, Debo Adeniran, the Executive Secretary of CACOL in a statement, said the toll gates were part of the legacies of military misadventures into governance in the country. He said toll gate is a drain pipe for unscrupulous merchants of power, official scamming of unwary public and often times causing irritating traffic gridlock leading to loss of productive man-hour. His statement reads, “It suffices to note that Mr. Fashola has experimented with this idea when he was at the helms of Lagos State Government. “He constructed the toll gates on the Ikoyi-Lekki link bridge for instance which eloquently testifies that this project are mere grand designs to extort motorist and never to ameliorate deteriorating transport system. “In a more civilized, advanced democracy, the Mr. Fashola and this administration would be taken up to justify what the various taxes and levies imposed on the hapless citizens are use for, if tolls are now been constructed by private firms and fully commercialized against the provisions of our extant constitution. “Nigerians are presently suffering under the heavy yoke of very, bad and deplorable roads across the nooks and crannies of the country. “It is the expectation of the public that the Minister should been queried by the Senate on why FERMA has gone into self-induced permanent sleep under his watch while our roads have become death traps with high frequency of accidents leading to monumental loss of goods, properties and lives. 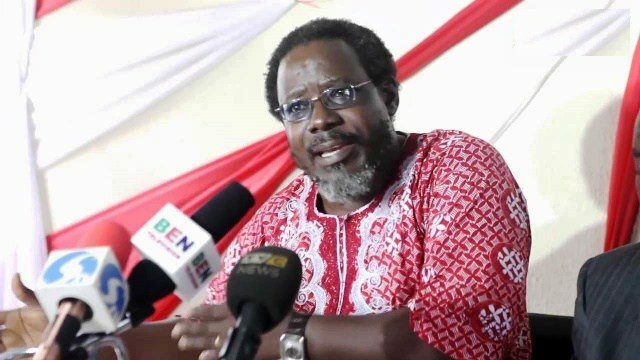 CACOL further called on all well meaning Nigerians to be weary of the antics of Fashola, nothing that it is manifestly clear that he is yet to deliver any tangible result in any of the three critical ministries under him. He added, “It is trite to point his announced housing projects which have not taken off are never designed to provide low cost housing for the mass of working and toiling people, not even for the decimated Nigeria middle class but to shelter a few, over-indulged elite class. “The promised improvement in the generation and distribution electric power remains a delusional mirage. There is no doubt that Mr. Fashola is pushing his three-star ministry along the same path he trekked while governing Nigeria, creating a haven for elites to viciously exploit the masses who are gated off in slum suburbs. “The return of toll gates and exploitative fares under the guise of privatization and commercialization agenda would unleash un-mitigated hardships on Nigerians particularly less privileged, informal sector workers whose empowerments are needed to re-tunic the ailing economy.